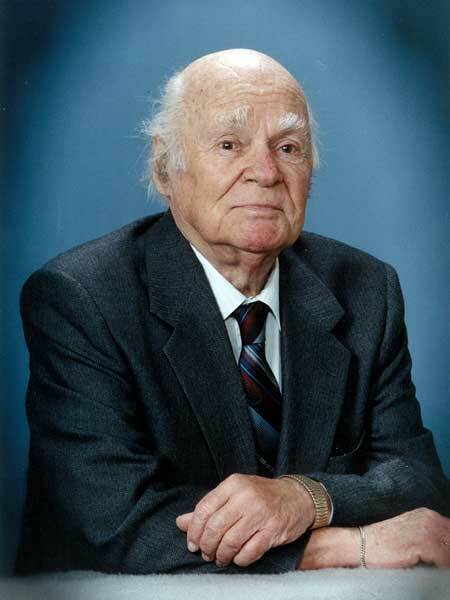 Born at Weyburn, Saskatchewan on 11 August 1918, an only child, he took his schooling at Weyburn, graduating from Weyburn Collegiate with honours. It was in Weyburn that he met Thomas C. Douglas, the young Baptist minister who would play such an important role in his life. During the Depression, Douglas organized a boys’ group which devoted its time to sports and boxing, and to debating and drama. Douglas was a graduate of Brandon College, and persuaded several of his ‘boys’ to attend that venerable institution. There Tommy received a BA with distinction. After a Masters degree from Indiana University, Tommy was urged by President Evans to come back to Brandon to teach Economics, where he stayed for three years and also met his beloved wife Beryl. In 1944, when T. C. Douglas led the CCF party to a landslide election victory in Saskatchewan, Premier Douglas asked Tommy to come and work for the new government. Tommy said that he would have to consult with the College; Douglas breezily replied that he had already sent his resignation to the President. Thus began an exciting period of his life, beginning as advisor to the premier and general troubleshooter, taking on assignments as Secretary of Health Services Planning, Secretary of the Economic Planning Board, Chair of the new Budget Bureau, and ending as Deputy Provincial Treasurer. In between jobs, he earned two degrees from Harvard University, a Masters in Public Administration and a PhD in Economics. When University of Saskatchewan President W. P. Thompson called in 1952, offering the position of Dean of the College of Commerce, Tommy decided to begin a new challenge. He enjoyed the Saskatoon experience immensely. During this period he also served on several boards and commissions, chairing the Saskatchewan Commission on Taxation. In 1964 Tommy returned to Regina as Dean of Arts and Vice Principal at the new university. In 1971, the Canadian International Development Agency offered a broader mandate, where Tommy joined the senior ranks of CIDA travellers, attempting to sort out administrative problems in several countries, including Turkey, Iran, Nigeria, and Botswana. So the family moved to Ottawa, where they stayed for 26 years. Tommy moved from CIDA to the Federal Management Institute, acted as administrator of the Anti-Inflation Board, and held other management positions. Among other honours, he was especially pleased to be awarded the Vanier Medal from the Institute of Public Administration in 1971 and the Order of Canada in 2003. He co-wrote a popular biography of T. C. Douglas with his son Ian; Tommy Douglas, Road to Jerusalem was published in 1987, the same year he was awarded an honorary doctorate by Brandon University. In 1997 Tommy moved to Victoria, BC, loving the gardens and life style. He died there peacefully on 1 January 2008. We thank Ian McLeod for providing additional information used here. This page was prepared by Tom Mitchell.